A few months back I responded to a discussion I was having about Jesus’ miracles by writing a post on the historical evidence. I have since turned that post into a permanent page, Did Jesus really perform miracles?, so I thought I would summarise the main conclusions here. Some of them may be surprising to you, particularly if you have read a lot of internet claims about Jesus’ miracles. several first and second century Jewish critics of christianity who also accused jesus of performing miracles using evil power. This is a large number of independent sources by ancient standards. Most historians have no doubt that Jesus was known in his day as a healer and teacher. Historian Craig Keener lists many historians who conclude that the historical sources show that Jesus was known as a healer and/or exorcist, including: John Meier, James Dunn, Bart Ehrman, EP Sanders, Graham Twelftree, Gerd Thiessen & Annette Merz, Craig Evans, NT Wright, Raymond Brown, and Rudolph Bultmann. 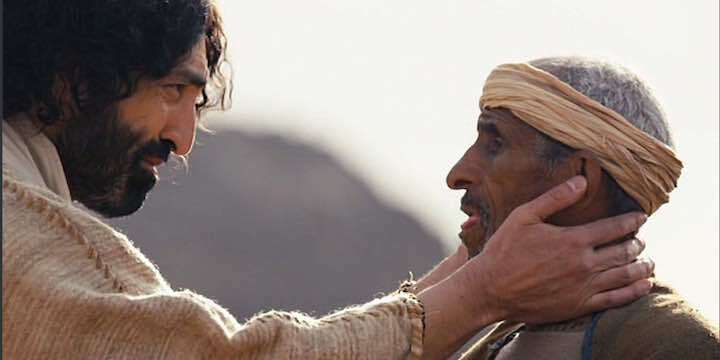 Perhaps it may surprise you to know that many historians conclude that Jesus really did heal people, though this doesn’t necessarily mean that he did so supernaturally. The following are all non-chrstian historians. Maurice Casey: “Jesus himself was the most successful exorcist and healer of his time”. Casey believed Jesus healed people by natural means. EP Sanders said it was an “almost indisputable fact” that “Jesus …. preached and healed”, but he was agnostic about the explanation for this. I’ll discuss what these and other historians believe actually happened shortly. It is common to read claims on the internet that ancient people were gullible, and many historical figures were believed to have done many miracles. But historians say this isn’t in fact true. Apollonius was Greek philosopher living in Turkey (so not a Jew) who lived shortly after Jesus and was credited with doing a number of miracles. However there is only one major source for his life, written 1-2 centuries after he lived. Scholars are uncertain how much of this account is historical, but most believe it is partly factual and partly legendary. Some scholars believe parts of Apollonius’ life story and miracles are copied from the gospels. The big question, of course, is what did actually happen? Can we believe that Jesus healed people supernaturally? 1. Were they genuine divine healings? Some historians who conclude that Jesus’ healing miracles are well attested and plausible, also believe that they have a supernatural origin. NT Wright, Richard Bauckham, Craig Evans and Craig Keener, among others, seem to hold this view. Craig Keener has supported his view of miracles with an extensive collection of plausible modern day miracle accounts which, he says, merit further study. 2. Were they accomplished by natural means? There is scientific evidence that sometimes physical healing can occur via natural means. Maurice Casey, Paul Eddy and Greg Boyd and Bart Ehrman refer to anthropological and psychiatric studies which discuss apparent divine healing and the phenomenon of demonisation from a scientific viewpoint, and report incidents that are difficult to explain naturalistically, but which are believed by many investigators to be natural occurrences. 3. It is not the historian’s task to form a judgment? Some historians note the strong historical evidence that Jesus was known as a miracle-worker, but believe the question of whether they were actually miracles is not a historical question, but a philosophical one. A theist may believe they were supernatural events while an atheist cannot believe that. What actually happened is a question the historians cannot tell us with any certainty. That is something we each have to decide for ourselves. So we can see that there is ample historical evidence for Jesus miracles, and our conclusion on whether they were supernatural events, or not, will depend mostly on what philosophical or theological viewpoint we hold. However it seems to me that the possibility that the miracles were genuine adds to the likelihood that Jesus should be seen as a genuine prophet from God, the Jewish Messiah who brought God’s truth to humanity. If that is so, we will find it easier to believe that he was indeed the divine son of God. « How strong is the Kalam Cosmological argument?